Fashionable Elderly Male Writer Wearing Elegant Clothes Working On Laptop. 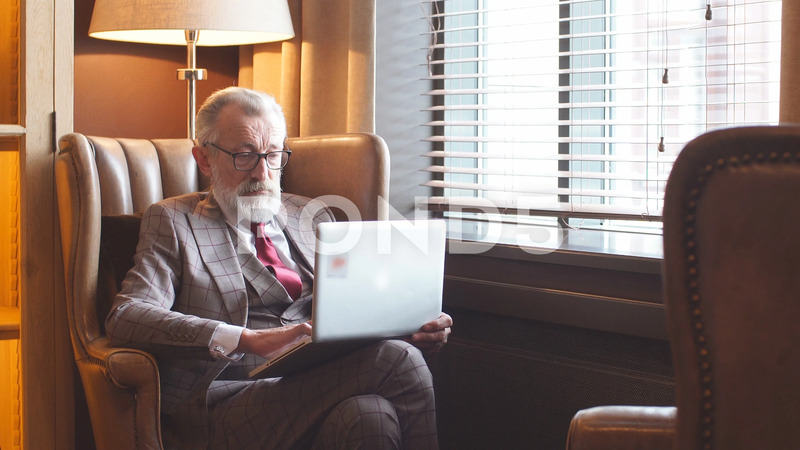 Description: Fashionable focused elderly male writer wearing glasses and elegant clothes working on laptop, close up. Old author creating new story while sitting in big leather arm chair near the window.